These Phone Loops are made to order. 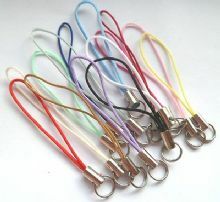 If you require a large quantity, or a different bead or length than those listed, then please contact me for a quote. Dispatch for special orders may be delayed for a few days. 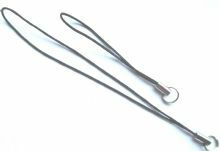 Black mobile phone loops/lariats x 10 with Circle Bicone bead in 2 lengths. 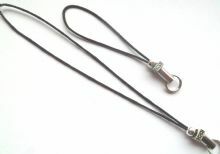 Black mobile phone loops/lariats x 10 with Barrel Lantern bead in 2 lengths. Black mobile phone loops/lariats x 10 with Belly Dot bead in 2 lengths. 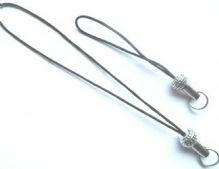 Black mobile phone loops/lariats x 10 with Floral Tube bead in 2 lengths. Mobile phone loops x 10. Gold with Gold findings. 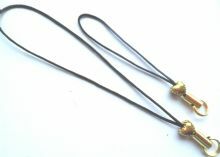 Black mobile phone loops/lariats x 10 with Gold Heart bead in 2 lengths. 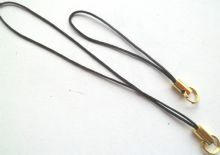 Black mobile phone loops/lariats x 10 with Gold Square bead & ball in 2 lengths. 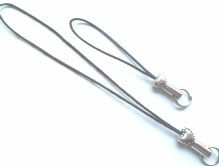 Black mobile phone loops/lariats x 10 with Silver Heart bead in 2 lengths. 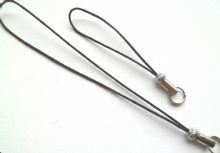 Black mobile phone loops/lariats x 10 with Silver Square bead & ball in 2 lengths. 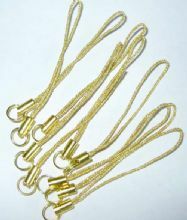 Black mobile phone loops/lariats x 10. 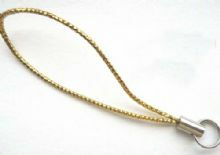 Gold with no bead in 2 lengths. Black mobile phone loops/lariats x 10. 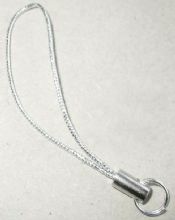 Silver with no bead in 2 lengths.